This blog offers you many ideas to help you make the wisest technology choices for your company and digital marketing program. I’d like to start with one major consideration: The technology you choose must support, enable and advance your objectives and strategies. Too often, it’s the reverse. A marketer jumps on a shiny and new feature and then has to come up with a reason for justifying the investment. That’s when marketing programs go astray. Maybe it wasn’t your choice. Your CEO could be a victim of “Get Me One of Those”-syndrome, and suddenly you are under pressure to find a use for the shiny new toy he just brought you. Choosing a new email or marketing automation platform is like being invited to pick out your own Christmas present from an array of tempting goodies. Will you pick the one that makes you happy? Or, will you end up with buyer’s remorse? And that’s where the trouble begins, we all too often lead with technology. Technology is tactical. But leading with strategy to achieve an objective and aided by technology is what drives consistent success. My mantra has always been “Lead with strategy, not with technology”. 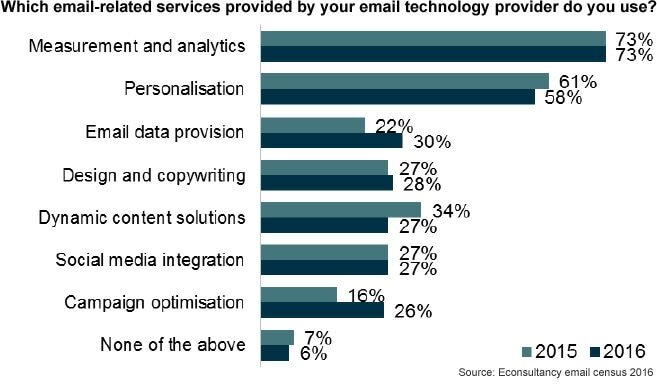 My new report from Econsultancy, “The Fundamentals of Email Marketing,” includes background and action plans for the successful pairing of strategic and technology planning. Why is this so important? Econsultancy’s 2016 email census found that just 3 in 10 marketers use the email data provisions their platforms provide. This raises many questions. Is it because they just don’t know how? Did they sign on with their vendors before thinking it through and realising they either didn’t collect the data they needed for high-level personalisation or didn’t know how to make their customer databases and email platforms talk with each other? Strategic planning makes the technology use more fruitful. Even a little bit of strategic planning can make the technology use more fruitful. Here’s another statistic: Most marketers use only 30 percent of an email platform’s capabilities. But they’re paying for 100 percent of that platform. Lack of education and training might be one explanation for this, but also, many features don’t have a place yet in the marketer’s strategy playbook. If you have always relied on broadcast email (1:everyone) but want to move to 1:1 email, just signing with a top-of-the-line vendor is not going to make it happen. 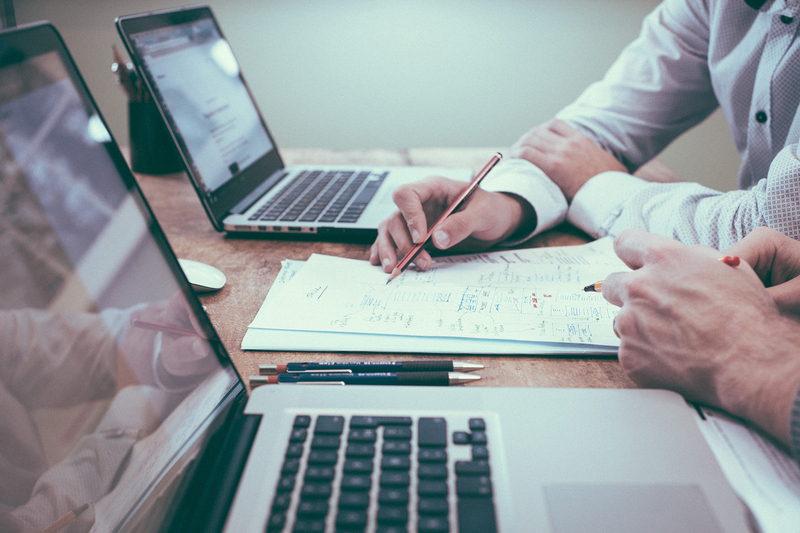 Your marketing program planning has three components: an objective, a strategy and tactics. All three together are like a journey. The objective is your destination. Strategy is your road map to the destination. Tactics are the kinds of vehicles that will get to your destination. Technology is the vehicle itself. Don’t settle on your technology choices until you know how they will either fit in with or advance your own strategic plan. Get help troubleshooting problems. Your ESP will have access to data and you can expect it to share what it sees on its systems and servers. One advantage of the ESP (an outsourced broadcast platform) is that it is well equipped to handle feedback loop setup and have a good grasp of best practices. See better results. Marketers who have launched even basic segmentation and triggered emails, either on their own or by using the automation tools their ESPs or agencies offer, find it pays off in higher engagement and revenue. Resolve worries about new programmes, especially testing. Testing can be a scary or unknown strategy for many marketers. They don’t know how to set up and run tests, worry about the cost, time or lost sales, or aren’t familiar with the available testing technologies in email or automation platforms. Your ESP or tech vendor has people standing by to answer your questions, show you how to set up and learn from tests and make sure you get all the value you pay for. Besides connecting strategy to technology for success, you want to walk through eight stages of successful email marketing, from Objectives and Strategy through to Deliverability Optimization. Something that we also do in the Econsultancy guide. You can download a sample chapter of the ‘Fundamentals of email marketing’ report here. Do let me know your thoughts in the comment space below.